A girl holding an Easter egg on the eve of the Orthodox Easter at the Cathedral of Our Lade of Don. Orthodox Easter holds much greater significance than Christmas in Russia, and is considered one of the biggest holidays of the year. Easter celebrations even carried on through Soviet times, and are popular among religious and non-religious people alike. Here’s how to make the most of the coming Orthodox Easter Sunday. 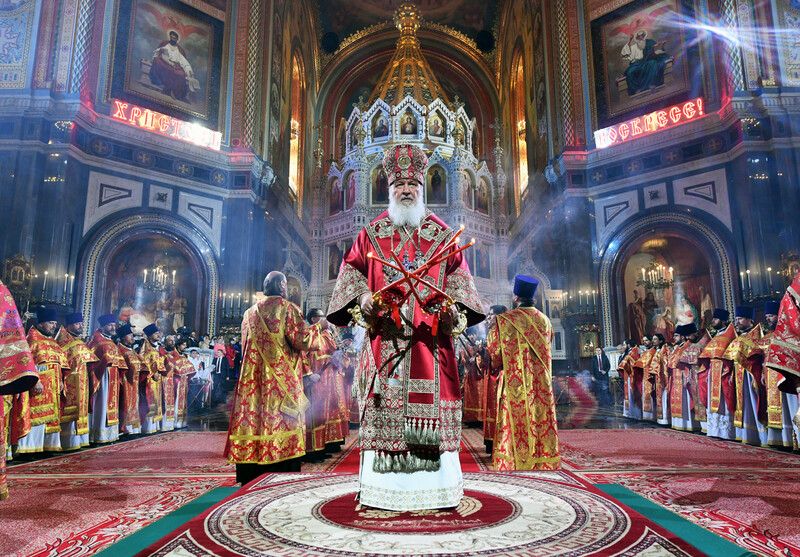 Patriarch Kirill of Moscow and All Russia during an Easter service at the Christ the Savior Cathedral in Moscow. Inside Orthodox churches, Easter begins on the evening of the night before. Many Russians (both religious and non-religious) congregate in darkened churches before midnight, and as midnight approaches, the priest announces that “Christ is risen” (Christos voskres), followed by candle lighting, liturgical chants and ecstatic hugging and kissing. Many of the attendees will make this their only trip to the church during the year – just be sure you dress in your best clothes. After this, much of the procession goes home to bed, but the most religious devotees strap themselves in for a long, colorful procedure, which usually ends early in the morning. 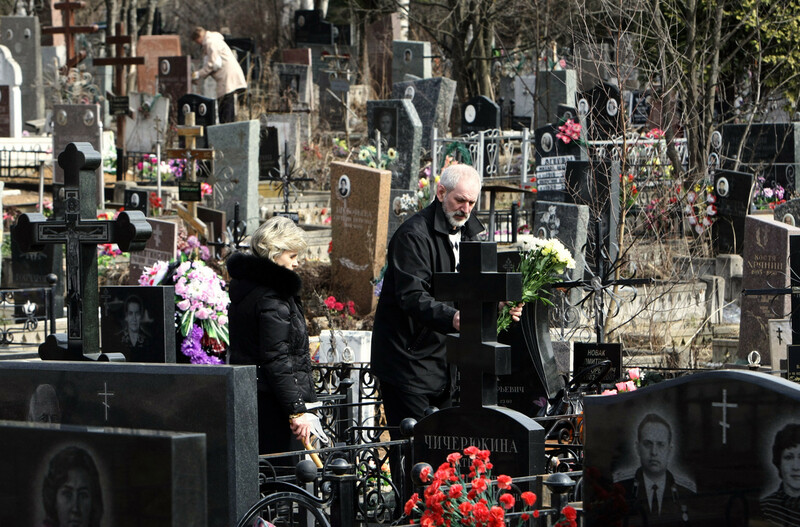 Muscovites at Mitino cemetery on Easter Sunday. Paying respects to the dead on Easter Sunday has been a tradition for centuries, and was an Easter Sunday staple during Soviet times. Many Russians pay homage to dead relatives by bringing food from the feast, such as eggs and kulich [Russian Easter cake], to the graveside. If that does not put you off, let our handy Moscow graveyard guide inspire you. An Easter cake and eggs. Typically, Orthodox lent requires its participants to adhere to a strict vegan diet for 40 days. Easter lunch is supposed to serve as a reward for their faith when, after the night service, they get to tuck into a breakfast fit for a king. 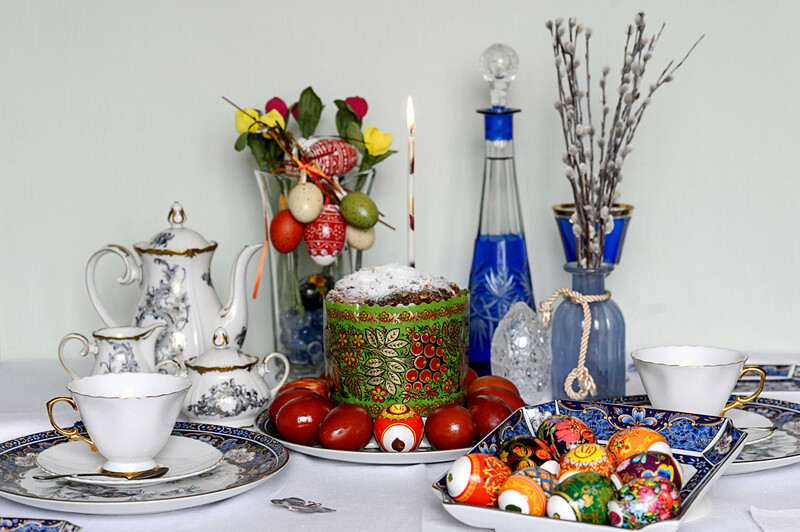 This brunch usually involves paskha, a sweet pyramid-shaped pudding, makovnik, a delicious poppy seed cake, and kulich, a sweet bread topped with white icing and sprinkles. It is often accompanied by animal products that adherents have to deny themselves during Lent, such as ham, cheese, or milk. The only downside is the baking process: Most treats are made by Russians on Saturday, but since it’s still technically Lent then, they’re not even allowed to sample their own baked goods. Harsh! Eggs are also a big part of the Russian Easter process. There is no tradition of chocolate eggs in Russia – instead, Orthodox followers stick to the more religious tradition of the natural Easter egg, which symbolizes Christ’s resurrection. Most traditionally, the eggs are colored red (using onion peel) to symbolize the blood of Christ, but stunning patterns can also be created using coffee, spinach, and beets. 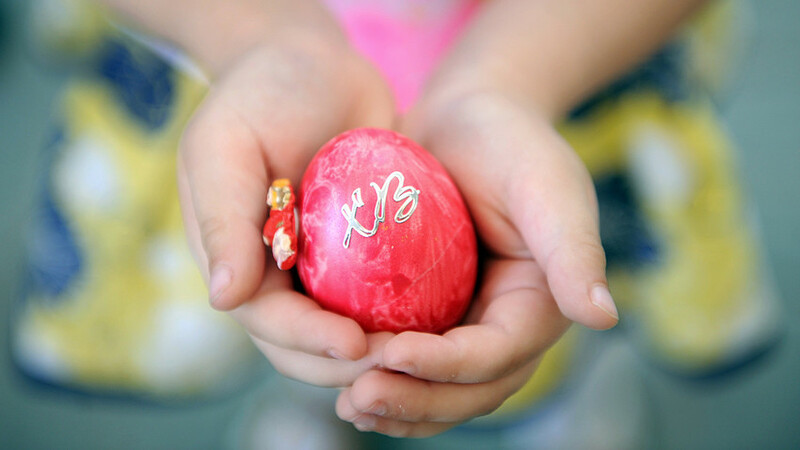 Find out how with our essential egg-painting guide. While most Russians will spend the day with their families, there are plenty of alternatives on offer. One interesting way to spend the afternoon is to witness Russia’s most ceremonial Easter creation – the Faberge Egg. The world-renowned Faberge eggs are the crown jewel in the legacy of the House of Faberge, Russia’s most famous jewelry company. 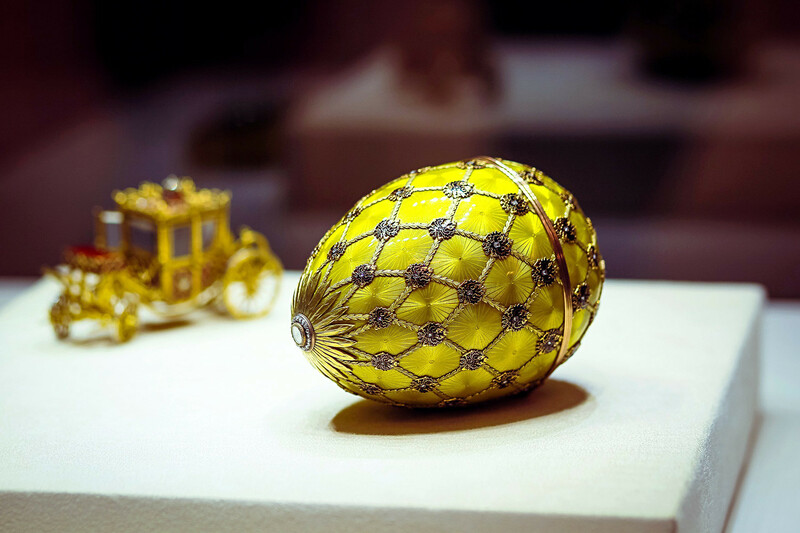 The Russian royal family often commissioned the eggs for Easter, so this is the perfect time of year to see the spectacular ornaments and appreciate their godlike splendor. The largest collections of Faberge eggs are in the Kremlin Armory in Moscow, or in St. Petersburg’s Faberge Museum. 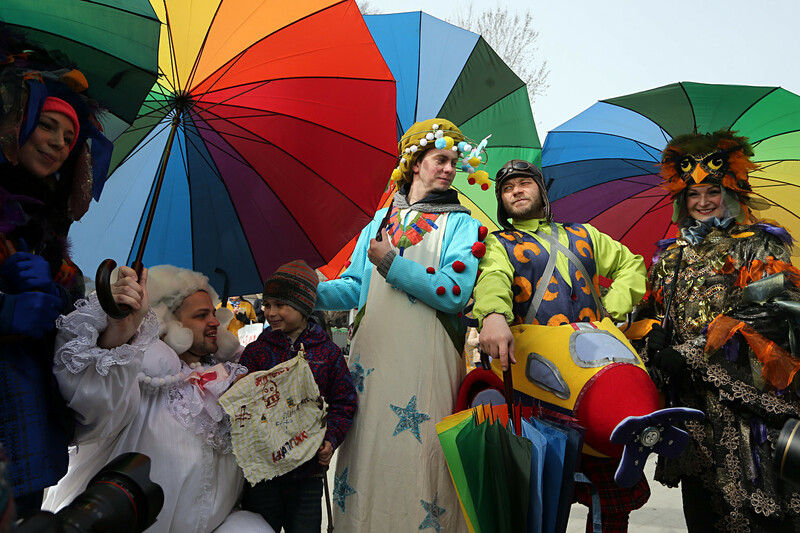 Participants in a spring parade held as part of the Easter Gift festival in Tverskoy Boulevard. If you don’t want to spend the day at home, another alternative Easter activity is to go out around town and take part in some traditional Easter activities yourself. Most cities in Russia will have some kind of Easter fair, involving a variety of family activities. In the Moscow Easter Gift Festival, for example, events such as food tasting, stained glass-making and immersive theater will be set up around the city. Many cities will also put on traditional dance performances, including folk and Orthodox music. 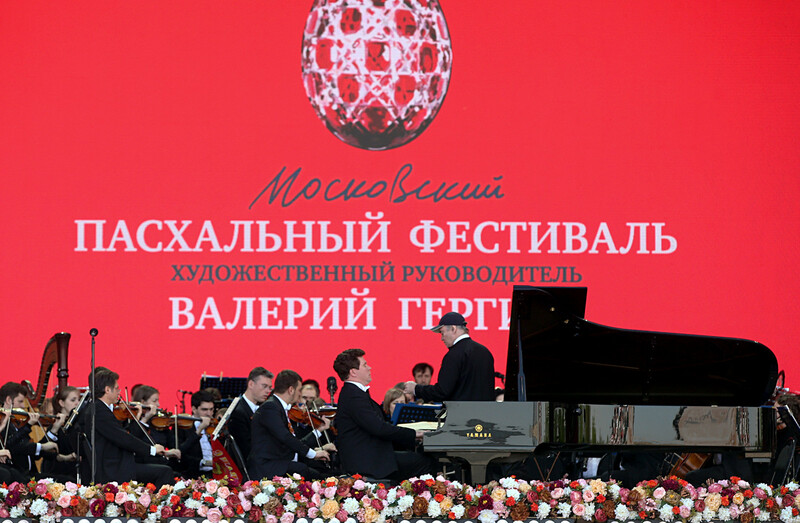 Valery Gergiev, Russian conductor, general director and artistic director of the Mariinsky Theatre, and Russian pianist Denis Matsuev perform during a Easter Festival on Moscow's Poklonnaya Hill. Since 2002, the Russian Easter Music Festival has been showcasing the best in Russian symphony, chamber music, choral music and bell ringing, inviting esteemed musicians from around the world to perform for the occasion.